Instead of a Reader Feature this week I thought we'd do a little GIVEAWAY instead! 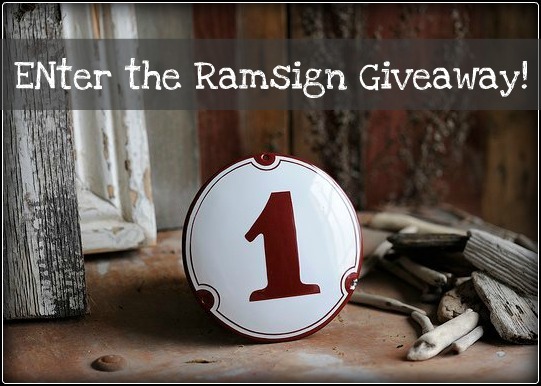 Ramsign sells porcelain enamel signs and today they're giving away a sign!! 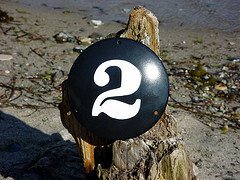 You could totally use them for your home address, but my favorites are the one and two numbered round signs. 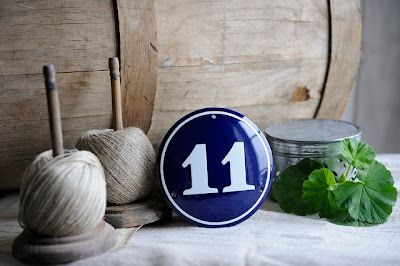 They feel vintage and cool- I'm especially crushing on the circle plaques. Wouldn't they be the perfect accent to a boy's room or maybe on a bookshelf? You can customize the color, the design style, the shape of the sign, the font, and the trim! Dude, that's a lot of options! 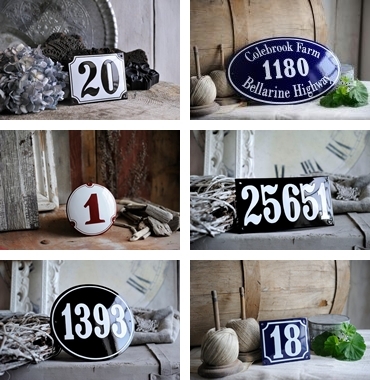 This is a serious deal- 4 number signs cost $99 and our winner gets up to 5 letters for free! I will contact them via email and they have 2 days to write me back! I love this, and need one. Great giveaway! I love these signs! Cute giveaway...this is something new. I so love these signs!!! Thank you for the chances to win. I love their signs -- ooh I hope I win! Thanks! Woo-hoo! I love these little signs. I have seen these sign so often now but have never been the lucky winner, but I don't give up. I really want one for our little red brick house, it would be perfect. Thanks for giving us the chance to win! I love these signs too, and would love to win one! Wow! Great give-away! Love to win one of the signs!! I would love one of these. Not sure where I would put it but I know it would get great use. I want one - they are adorable.